Here are some ways that kids can help save our planet! 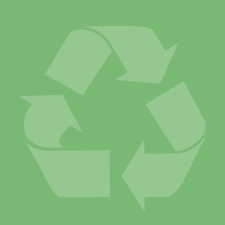 Help recycle aluminum cans to save our planet - take a look at this site from England to see how recycling is a worldwide phenomenon! The UN wants YOU to treat the Earth with care! Find out how to be a part of this worldwide partnership here. Can you think of ways for kids to get involved with recycling and the environment? Ask a parent or teacher if you are allowed to e-mail us with your ideas! If they say yes, send your ideas to us at recycle@cantonohio.gov and check back regularly to see if your suggestions have been added! Please include your first name, your school name, and your age with your suggestion so we can post it on our Web site!